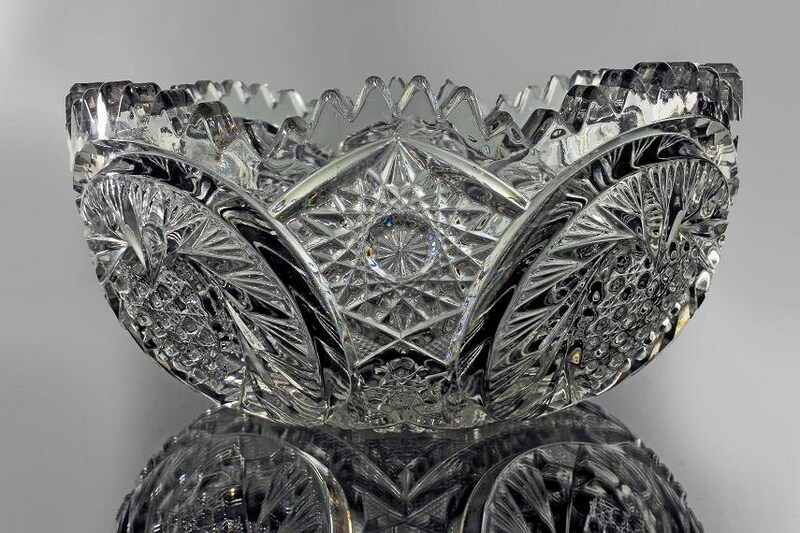 A gorgeous crystal American Brilliant bowl by Pitkin and Brooks. The pattern is Heart and Hobstar. The beautiful heart pattern is topped with a sawtooth edge. 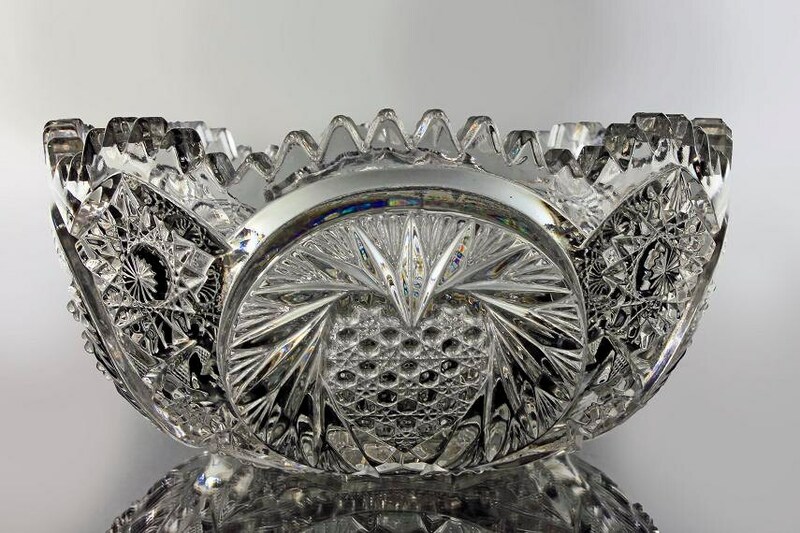 This crystal bowl catches the light beautifully and acts as a prism making a rainbow of colors in the bowl. This is a great piece for the collector or a wonderful gift idea. 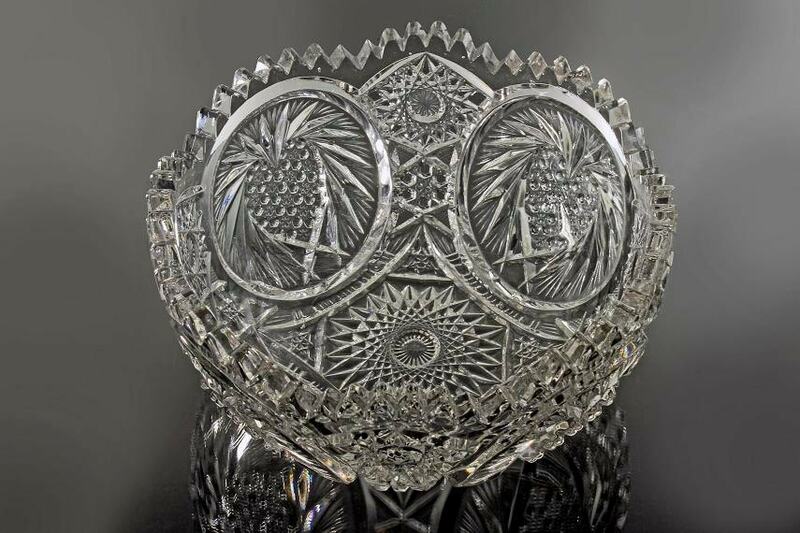 Pitkin & Brooks was a china and glass business in Chicago that began operating in 1872. The company established a cutting shop at Bowling Green, OH, known as the Ohio Cut Glass Company and also one at Valparaiso, IN. The company went out of business about 1920. 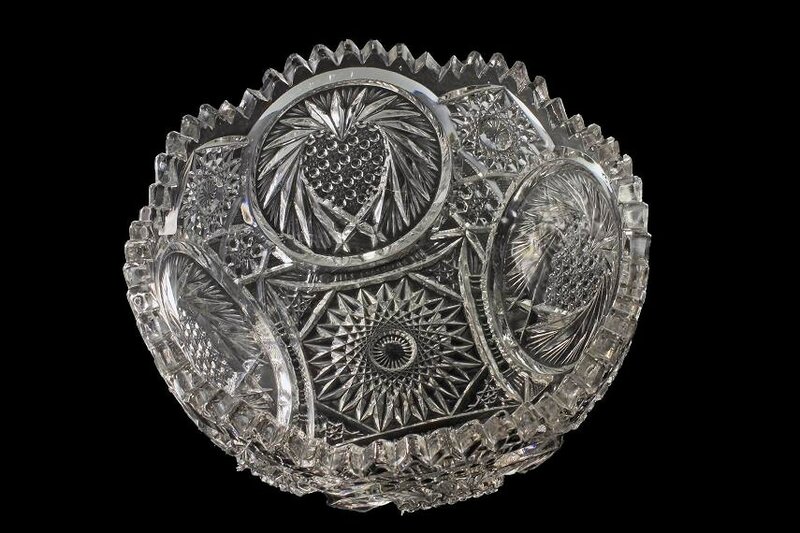 This antique bowl is in great condition. 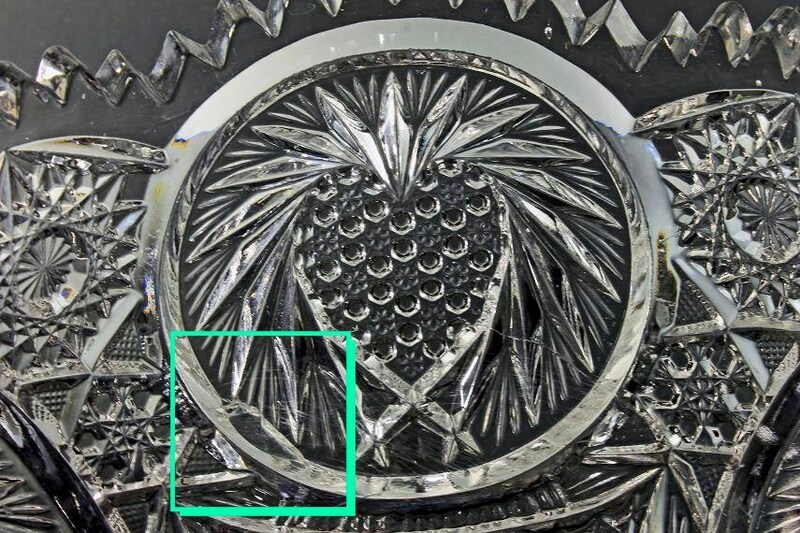 There is a chip on the edge of one of the heart designs and must be looked for to be actually seen (See Photo 5) This is minor for this bowl's age. There are no cracks, major utensil marks, or shelf marks.